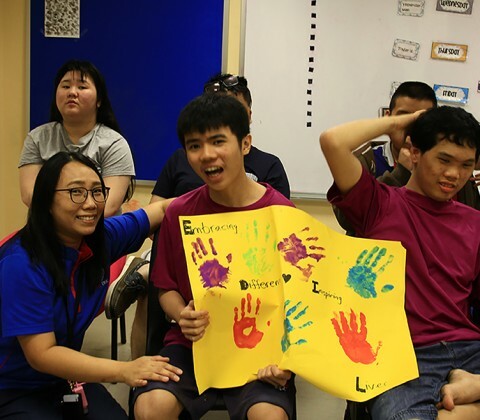 The THK Autism Centre @ Geylang Bahru was set up to meet the increasing demand for a Day Activity Centre for adults with autism aged 16 to 55 years old. 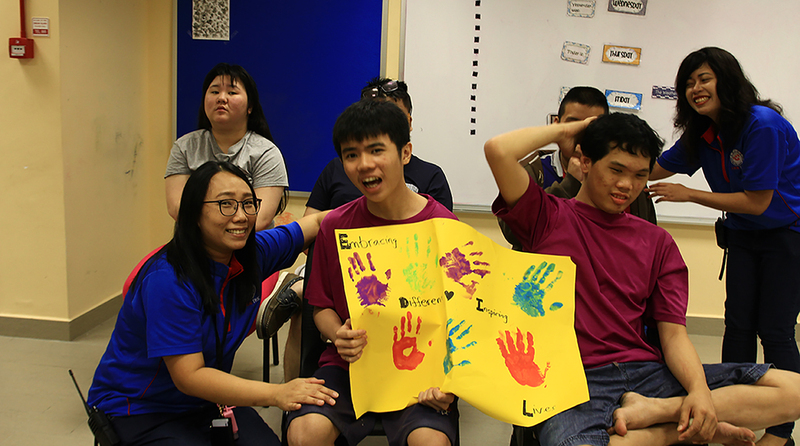 The centre aims to engage the adults with autism in meaningful activities and life skills so that they can attain a better quality of life. Our clients are referred to us by SG Enable, the central referring body. If you wish to register with our centre, you may contact SG Enable. Our facilities include a kitchen where our clients will learn to cook and bake simple dishes; an open gym area used for dancing, exercising and leisure play; there is also a mock up apartment facility where our clients can practise daily activities such as folding clothes, making their bed, etc. We have classrooms where numeracy and literacy lessons are held, and all classrooms also include individual calming rooms for clients to regulate their emotions. This is a place for relaxation and contemplation for our clients as well. There is also a Snoezelen Room, a Multi-Sensory Environment, for our clients to explore and to improve their cognitive and sensory needs through therapy. Most importantly, we aim to provide a setting that promotes dignity and self-worth, where each client is valued and respected.